Il Divo returned to the live arena for the first time in 2 years on August 2, 2011 to perform at the iconic home of the English National Opera, the London Coliseum. Accompanied by the world famous Royal Philharmonic Concert Orchestra, this show marked a triumphant return for Il Divo, performing new material from their album Wicked Game as well many of their favourite, well known classics. The concert features the albums title track "Wicked Game", "Crying", "Come What May", "Time To Say Goodbye" and "Dov' L'amore", which Il Divo premiered at the Classic Brit Awards 2011, where they collected a prestigious award for Artist of the Decade. 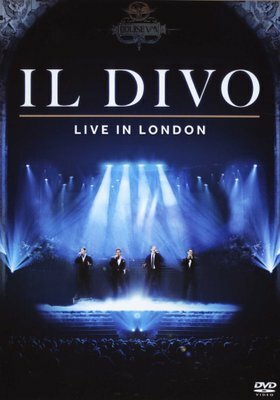 This 90 minute concert captures Il Divo at their best, while behind the scenes documentary footage of Il Divo, allows us closer to the band during recording sessions for Wicked Game, on their promotional travels, at rehearsals for the concert and on the night of the show.